Cell phones are recycled at ReCellular, a 12-year-old Michigan company. 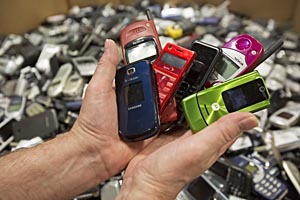 The company collects 100,000 used phones each week, inspects and repairs them, and resells them. Some of the work is done for charities, which collect used phones and profit from the sales.